Raise your head and look up now. What do you see? Do you see the blue sky full of puffy clouds with a violin shape? Do you see the smooth light of the lovely lamp? This is what I saw above my head when I was in Florence. 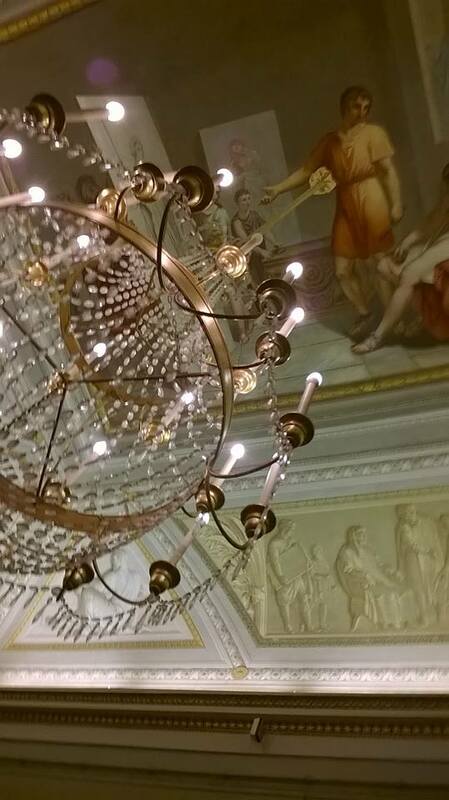 It is a beautiful crystal ceiling lamp under a fresco in Pitti Palace. I really like the moment when I raise head and see some views that surprise me. 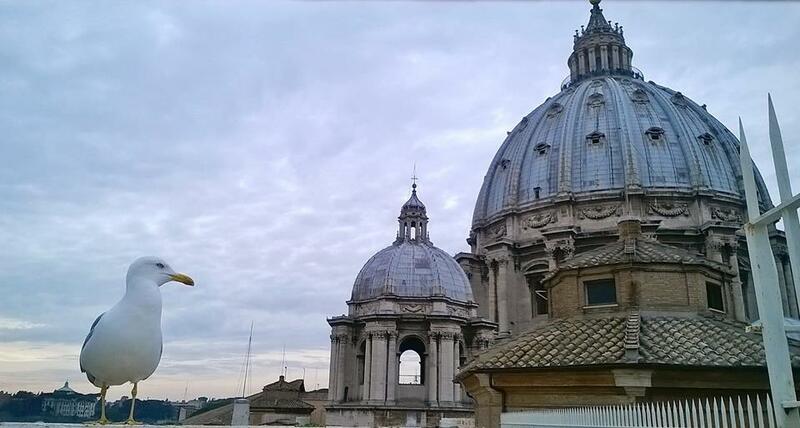 During the winter break I travelled to Italy and Venice and experienced Italian culture. I want to share a local dish from Venice with you guys. It really surprised me at first sight but in fact it is delicious. 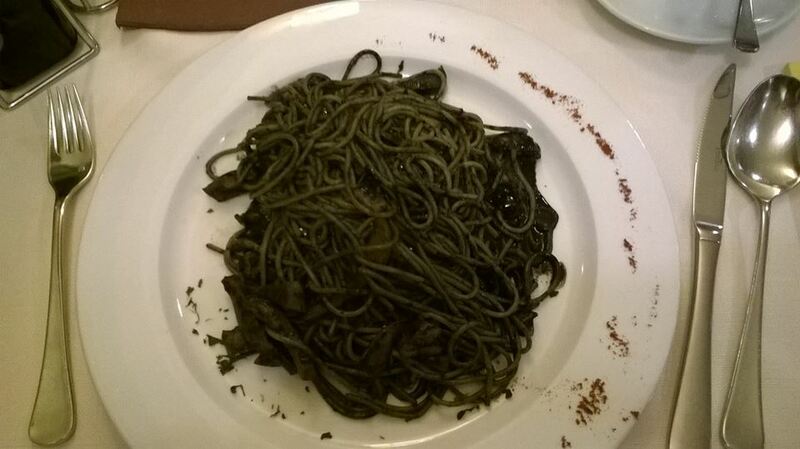 The name of this dish is Spaghetti al Nero. My meal is black. It is true. It..is ..black..spaghetti! After eating it I find it is really delicious with the taste of seafood. The ink of cuttlefish is a good material to cook. I learned it. Do you guys want to share some local food of your hometown that will surprise the tourists? Do you want to share some pictures of your holiday destination or your hometown? 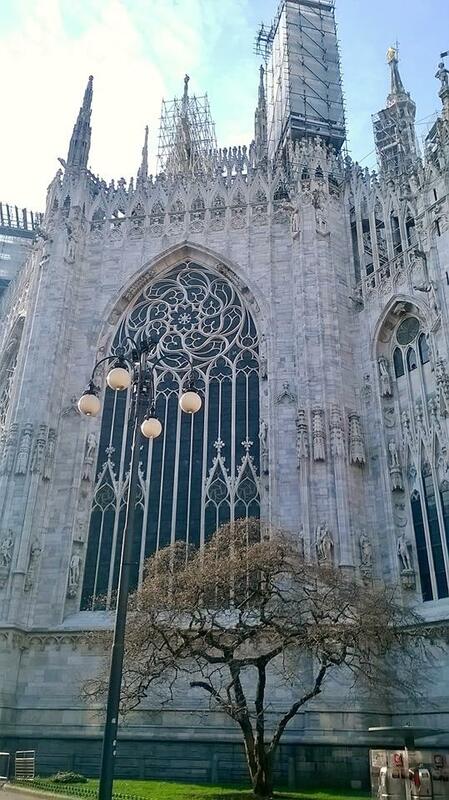 Here I will share some pictures of my trip to Italy. The pictures are gorgeous! What does the spaghetti taste like? I’ve heard about it before but never tried it. Thanks Emily! 🙂 It tastes like seafood and is very delicious!